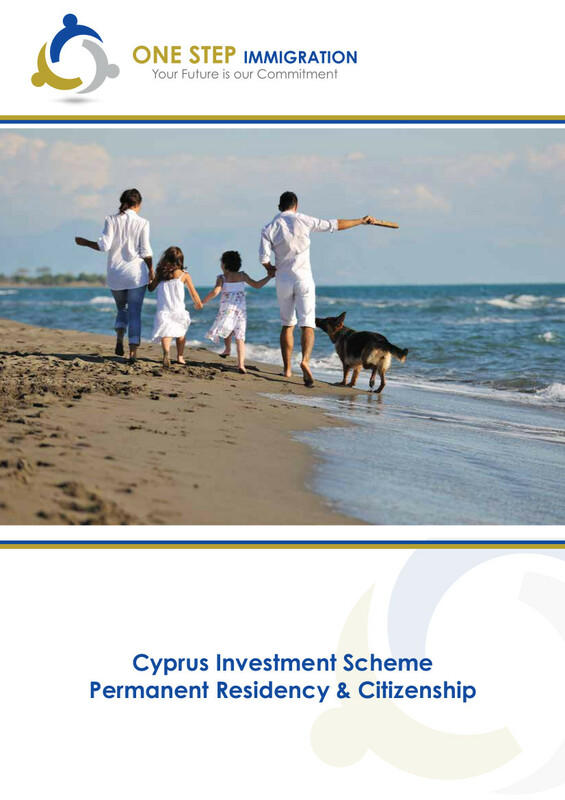 Affidavit or Official Statement as to the annual income of the applicant, with other supporting evidence.Official declaration as to the confirmation of non-employment of the applicant and his spouse in Cyprus (However they are allowed to be shareholder(s) in a Company registered in Cyprus, and receive dividends from such a company. Official payment receipts of at least €200.000 (excluding V.A.T.) paid on a Cyprus bank account, irrespective of the delivery date of the real estate. The money should be transferred from abroad. Proof for the Source of Wealth will be required. Clean Criminal Record for the applicant and his/her spouse must be submitted obtained from their country of residence or from Cyprus, in case they are residents of the Republic. Original Letter from a financial institution in Cyprus (Bank, Coop) confirming a deposit of €30.000, pledged for three years. Copy of valid passport of the applicant and his dependents. Copy of valid temporary residence permit (if the applicant resides in Cyprus). Curriculum Vitae (including academic qualifications). Marriage Certificate duly certified (official and certified translation). Children’s Birth Certificates duly certified (official and certified translation). Other documents which are submitted with the application. NOTE: All the necessary documentation that is attached to the application for an Immigration Permit, including the translation of the same into the Greek or English language, must be duly certified. Copy of valid passport of the applicant. Declaration of a secured annual income of the parent from abroad of at least €30.000, (original documents and affidavit or declaration). The necessary annual income is increased by €5.000 for each person dependent on the parent. Official Statement by the applicant that he/she does not intend to work or be engaged in any form of business in Cyprus. Birth Certificate of the applicant duly certified (official and certified translation). Letter from the school/university that the applicant is a registered student. This website also uses Tidio (tidio.com) in order to offer you a chat service. Keeping these cookies enabled helps us maintain a high level of perrformance for our website.